Marvel’s upcoming event story Civil War II promises the rise of a new Inhuman, though it comes at the cost of some familiar heroes. Helming the project are Brian Michael Bendis, David Marquez and Justin Ponsor. Civil War II pits Iron Man and Captain Marvel against one another following the discovery of an Inhuman who can predict the future. They can either choose to change the future or let the events unfold naturally as the Marvel universe goes to war against one another. This news comes at a convenient time as Captain America: Civil War hits theaters two weeks from Friday. The story of Civil War II revolves around an Inhuman. A movie that is also part of Marvel Studio’s Phase Three, which is said to be delayed. Could this event be shaping both the team and story of the upcoming film? Another interesting detail to take note of is the cover. 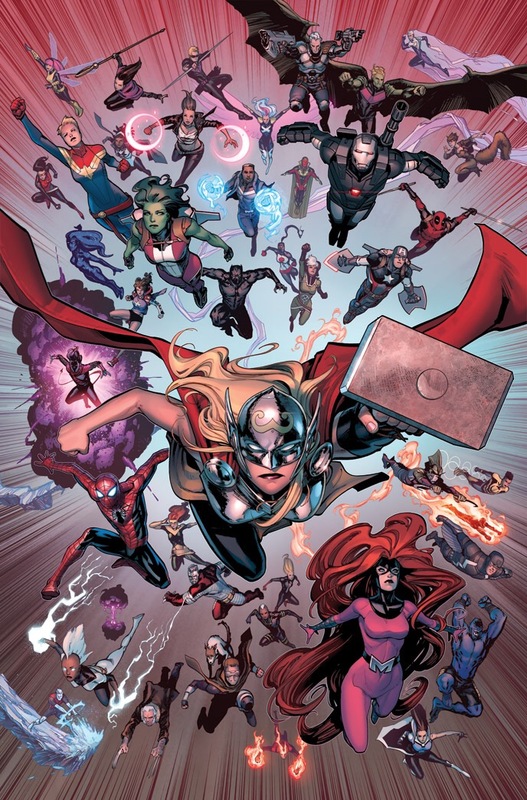 The characters featured are Iron Man, Falcon/Captain America, Star Lord, Captain Marvel, Spider-Man and She-Hulk. Three of these characters are established in the Marvel Cinematic Universe (MCU), and Spider-Man is making his MCU debut in Captain America: Civil War. We also know that Captain Marvel is another Phase Three title tentatively scheduled for 2019. Last but not least, is Jennifer Walters aka She-Hulk. Although there are no plans at this time for a She-Hulk movie, it doesn’t mean that Marvel won’t include her in Phase Four. Substituting the character for another superhero or heroine is an option, but seeing as Marvel has received constant criticism for their lack of female lead characters, I wouldn’t count her out just yet. 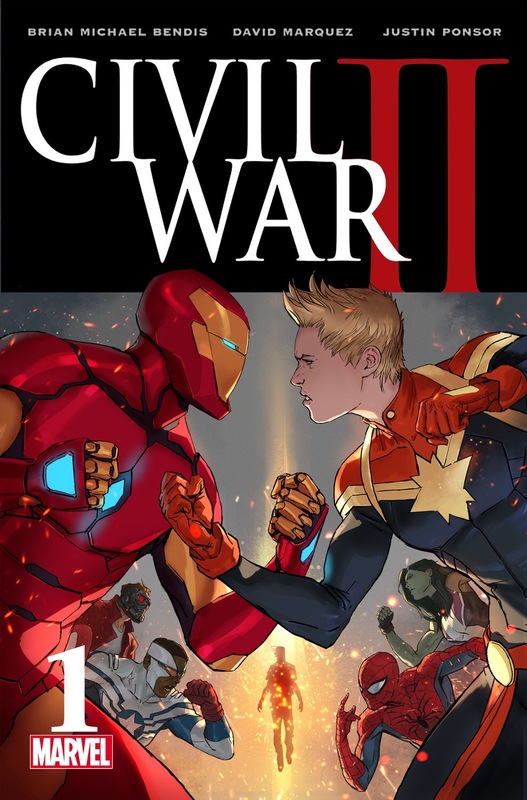 Marvel’s Civil War II will be available at comic book retailers and digital devices in July. Also be sure to check out the Civil War II Prelude aka Civil War II #0, which is part of Free Comic Book Day (May 7).